The hotel still boasts a selection of original Venetian oil paintings that remember of the extravagant 19th century life in the San Marco area. The location of Palazzo Sant'Angelo is just unique with all main historic sites within walking distance like San Marco square, Rio Grande, Rialto Bridge and much more. The hotel bar is a unique hidden gem and the perfect place to escape the busy streets for a while. the bar comes with a beautiful canal side terrace where you can enjoy great wines, fresh cocktails and international spirits. 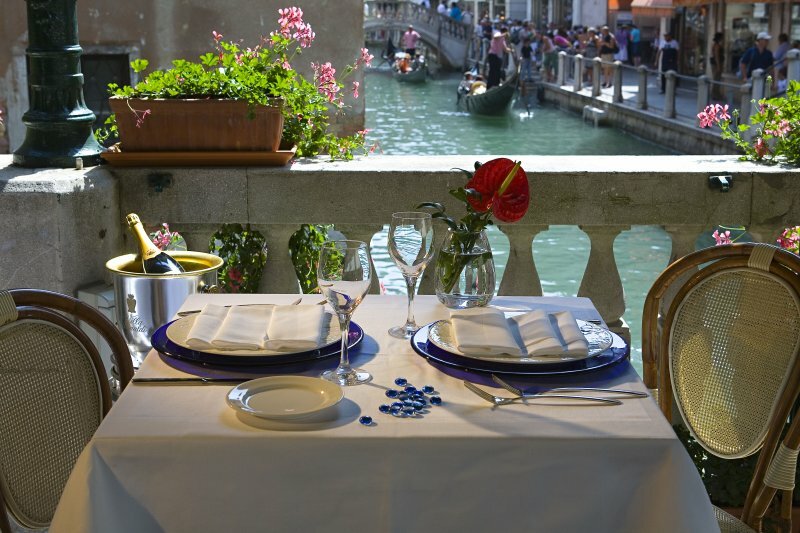 The hotel does not have a restaurant as Venice is all about the culinary journey. Why not try a new restaurant each night of your stay. There is an abundance of great restaurants within walking distance. The hotel is a typical boutique style cosy hotel. The amount of rooms is limited, therefore your room-size is not. 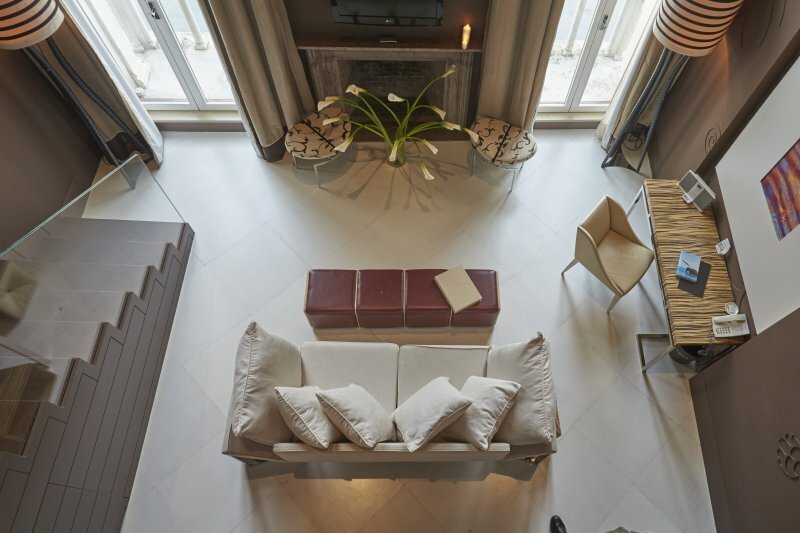 For Venetian standards the rooms are spacious at Palazzo Sant'Angelo and they comes in 6 categories of which one category is only suitable for single usage. Children up to the age of 2 stay free, using existing bedding. Children aged between 3 and 11 stay at a discounted rate. As Venice can be really overcrowded at some days, just remember that at night all daytrippers will be aheading for the mainland again and you will be left with one of the most romantic and picturesque places on earth. Get lost in the narrow streets or see Venice by night from the comfort of you private Gondola (Venetian boat). 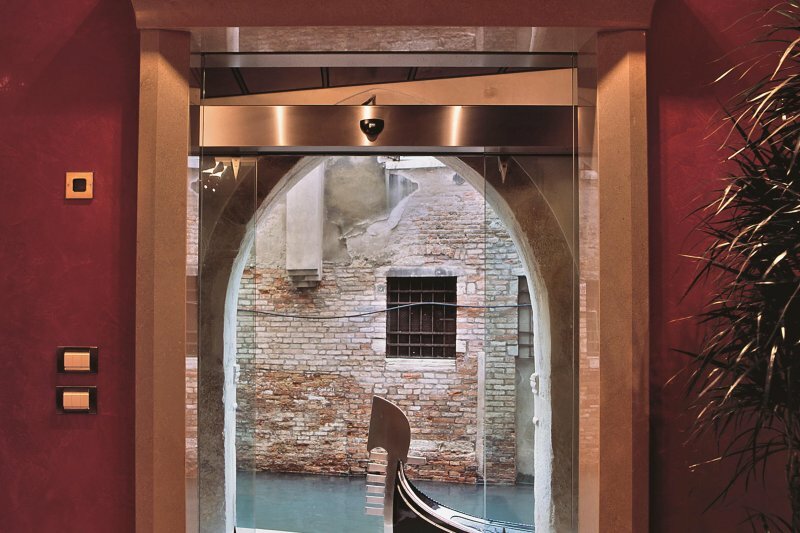 Ask the concierge to book you a Gondola and you can hop on at the back of the hotel. With only 20 rooms of which 16 are unique suites, this is one the most intimate hotels in Venice and even in the UrbanBooker collection. Expect a great breakfast in an elegant, small breakfast room with wood panelling and stunning Venetian furniture.